When planning for a child most parents don’t plan or “expect” for their child to be deaf. If that is you, TSHA is here to help. As a parent you need to know your child can’t hear, but they can do everything else. You should have the same dreams and expectations for your deaf child as you would for a hearing child. There are many choices you will need to make. “How will my child communicate?” is one decision. Whatever you decide is the right answer. Because everyone has different abilities, talents, and learning styles, if what you choose doesn’t work there should be no shame, just try another. The key is working with your child and professionals. TSHA has support in place for you to make the best decision for your family. 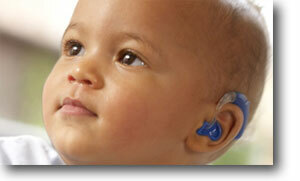 Does your child need a hearing aid? TSHA has compiled a list of resources that may assist you. Download the list here. Do you suspect your baby has a hearing loss? Read our helpful guide. An unexpected trip to Holland. A MUST READ for all family members of a child with disabilities. Click to read. Are there any activities for my child? TSHA holds a week long, fun-filled summer camp for children who are Deaf, hard of hearing, their siblings, and children of Deaf parents. The camp is led by a certified teacher who is aided by caring and capable volunteers. 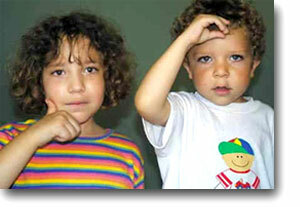 Everything is presented in sign language, as well as voice, in order to be accessible to all. The Children’s Holiday Party takes place the first Saturday of every December. Deaf and hard of hearing children’s faces beam with joy at the opportunity to talk with Santa directly using sign language, or Mrs. Claus will interpret for them if they do not use sign language. This fully accessible event allows children to play games and see their friends. Every child leaves with a Christmas stocking full of toys! For more information contact Diana Higgins at 918.832.8742 or dhiggins@tsha.cc.